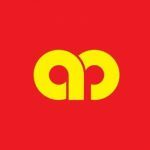 Back in October 2017, as part of their initiative to intensify their brand’s digital banking experience and services, AmBank had a soft-launch for their internet banking platform called AmOnline. Now fast forward to 2018, there have been a number of new features added to boost the website with a new look while keeping the original aim of providing users with a simple and fast online banking experience. With the continuous upgrades done to their internet banking platform, AmOnline has since doubled its customer base from March 2018 with the numbers steadily growing. What Can Be Done On AmOnline? When the platform first launched, the AmBank team wanted to take a mobile-first approach by giving users the same experience browsing through the platform whether it be through desktop or mobile. “We found that over half our customers were accessing online banking from a mobile device. The new AmOnline was therefore built to deliver a deeply ergonomic and mobile-first experience. 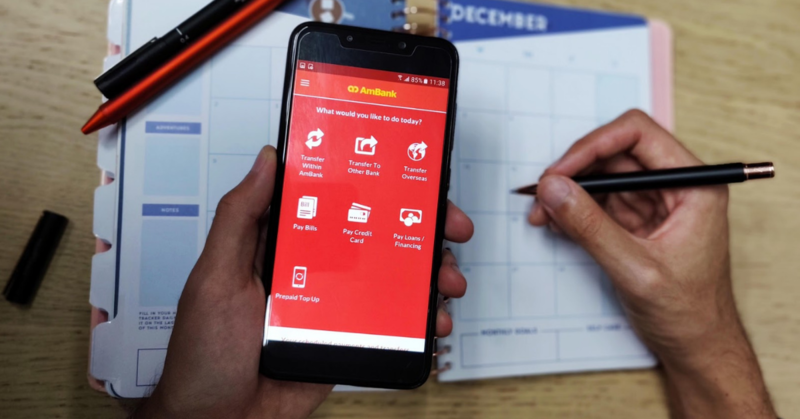 Our mobile app is responsive, optimised for the form factor and device capabilities of smartphones and is as comprehensive, if not more comprehensive than our web offering,” said Datuk Iswaraan Suppiah, Group Chief Operations Officer, AmBank Group. To help cater to their diverse background of customers, AmOnline is one of the online banking platforms in Malaysia that offers a multilingual option in English, Bahasa Melayu and Chinese. As the name suggests, Quick Apply allows users to quickly apply for cards, supplementary cards, balance transfer, and for quick cash. Their Quick Apply Balance Transfer feature lets AmBank credit card customers to consolidate other banks credit card outstanding balances into their AmBank credit cards. Users can also apply for a supplementary credit card without needing to walk to any branches or filling up any hard copy forms. Another thing that you can use Quick Apply for is to increase the credit limit of your cards. Talking about the Quick Cash feature, customers can convert their unutilised credit card balance into a loan at attractive interest rates with an easy online application. The funds are then disbursed the very next day. Usually when a user receives a credit card, they are usually required to contact the bank to activate their card (whether it be via SMS or calling the bank). Once it’s confirmed that the card is activated, the user is then required to set up a PIN. Thereafter, to manage the credit card online, they need to sign up for online banking. AmOnline simplifies things into a 3-in-1 process to activate card, set pin and signup for AmOnline that lets a customer charge a card within minutes of receiving the card. For their customers who’d like to take a quick look at their balance or to view all their accounts on one single page, they can quickly access the app via touch or face ID. We had previously covered AMY, AmBank’s latest financial assistant that specifically helps users with credit card related services. Essentially, AMY helps users with processes such as reporting loss of credit cards without needing to make calls or even resetting a PIN number. Frequently, users find that they need to repeat a past payment. AmOnline’s added a new searchable list of past transactions, where searching for names will provide a shortcut where a subsequent payment can be made (with fields automatically filled). Every three months, AmOnline plans to roll out new features in an ongoing progress to make online banking a great experience for its customers. So if you happen to be a user of the bank’s services, this is something you can look forward to. You can download the AmOnline for iOS and Android here. For more details on AmOnline, you can visit the official website here.